Kate offers workshops, intensives, trainings, retreats, ceremonies, sacred circles and events/concerts in person, by phone/skype and on-line. All programs can be modified and tailored for different groups and to meet your specific needs. Kate is available for co-creation and collaboration with others. If you would like to sponsor a program in your area, please use the contact form. Join others in a sacred sound circle to recalibrate your vibrations, unify energies and intentions, and open your voice, heart and spirit through sacred song, sound, movement, ritual, prayer, chanting, toning, improvisation, drumming, sonic attunements and activations for personal and planetary transformation. Includes overtone singing, the use of essential oils, sacred geometry, crystal singing bowls, Tibetan bells, gongs, tamboura, harmonium, and percussion. Participants will clear emotional wounds and trauma, release blocks and outmoded patterns, and come into a deep heart resonant field of love, peace and reconnection with their soul essence, divine blueprint and destiny path. Profound healing and transformation will be catalyzed through movement, sound, voice, inner journeys, affirmations, visualization, art making, journaling, and ceremony. Each participant will be supported and empowered to find their unique authentic voice and soul song. Tuning forks, crystal bowls, drone instruments, percussion and other sound healing tools will also be used. Learn toning, a powerful vocal healing method that helps you relieve stress, clear blockages, “tone’ your body, free your natural voice, and come into more harmony and wholeness. Through toning you can restore imbalances in the body and subtle energy centers, “tune” your nervous system, glands and organs, repattern cellular structure, access altered states of consciousness,, and activate powerful healing frequencies for personal/planetary transformation. Free your voice! Explore spontaneous vocalizing and singing! Develop improvisational skills! In a safe supportive small group, move through your fears of making sound and being heard and discover your unique voice and song. Learn techniques to work with your breath and body, clear blockages and expand your vocal strength and range. Kate is also available for private coaching sessions. Many of us have creative blocks and inhibitions. In a safe, non-judgmental space, we will free our creative, playful spirits, build self-esteem, and come into fuller expression, authenticity and wholeness using sound, song, movement, writing, art, theatre games, improvisation, drumming, and other expressive arts techniques. Improvisation is a powerful tool for releasing inhibitions and self-judgement, building self-esteem, developing presence and trusting the unfolding of each moment. Through movement, sound, song, drumming, and theatre exercises/ games, we will get out of our heads, free our creative spirit and explore the art of high play and improvisation. Ritual is a powerful catalyst for healing and transformation. We will explore the power of ritual as a therapeutic tool, looking at ways it can been used by individuals, couples, families and groups for marking a special time, making a change, moving through a life transition or bringing closure and deeper meaning to important events. We will learn how to create simple rituals for ourselves and others, Includes healing work, inner journeys, expressive arts, movement song, chant and sound. Ritual is a useful tool for helping us to let go and move on in our life. In a safe, supportive space, you will be guided to face your pain and fears and take the next step in our journey, creating a personal ceremony of release, transformation and empowerment. 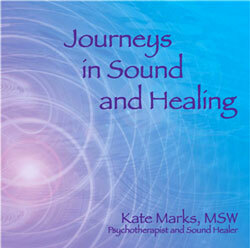 Includes healing work, inner journeys, expressive arts, movement, sound, and song. Bring a journal and objects which symbolize what you wish to release, and to call forth in your life. In a nurturing, supportive circle, we will give voice to our stories and dreams, heal our wounds, and reclaim our power and wisdom. Through exploration of archetypes, inner journeys, song, dance, drumming, expressive arts and ceremony, we will honor our life passages and celebrate our woman/Goddess spirit. Each woman will be empowered to take the next step in her journey. Sacred dances, chants and songs will be woven into the fabric of the workshop. Bring ceremonial objects and a journal. Many women are experiencing, a new freedom, a spiritual, creative rebirth as they move into mid-life† and beyond. Through† inner journeys, writing, art, movement, sound, expressive /theater arts and ritual, women will explore this powerful mid-life passage, moving through their pain and fears, celebrating their creativity, wisdom and power. The workshop will culminate in a co-created ritual of empowerment (“Croning”) ceremony.